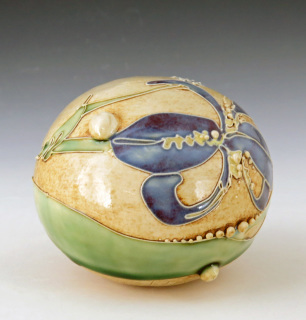 This orb is hand made in my studio. 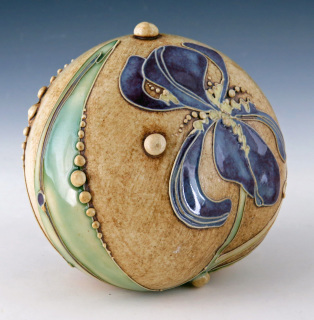 The orb is hand built and the surface is then decorated with slip trailing and food safe glazes. It is fired to cone 5 oxidation and is microwave, dishwasher, and food safe. Approximately 4 " diameter. 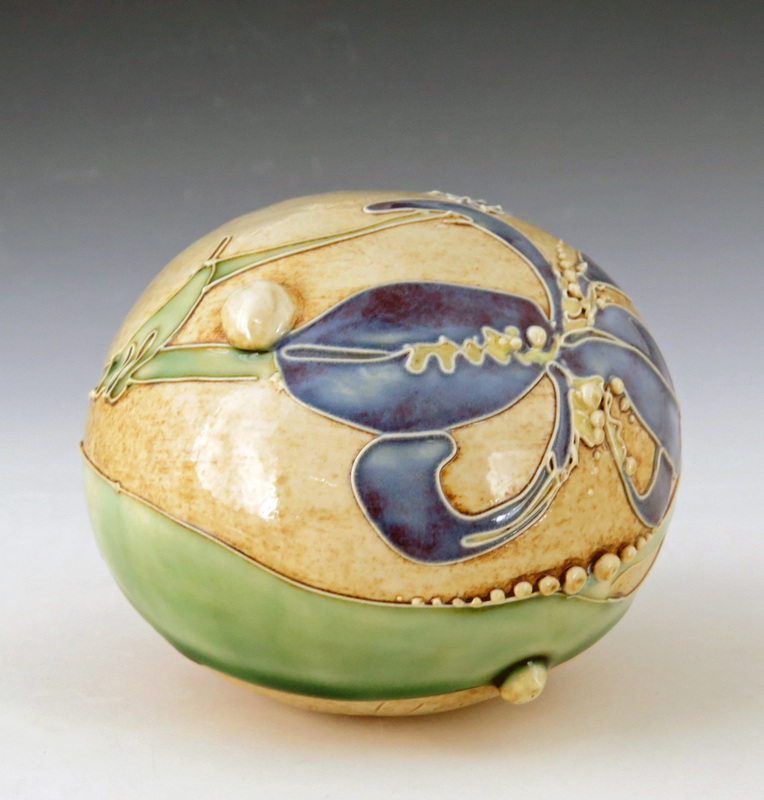 This orb is hand made in my studio. The orb is hand built and the surface is then decorated with slip trailing and food safe glazes. It is fired to cone 5 oxidation and is microwave, dishwasher, and food safe. Approximately 4 1/2" diameter.